Paul Manafort, President Trump's former campaign chairman, has been found guilty on five counts of tax fraud, one count of failing to disclose his foreign bank accounts and two counts of bank fraud. The jury was unable to reach consensus on 10 of the 18 counts in the bank fraud trial of former Trump campaign chairman Paul Manafort. Judge T.S. Ellis III will declare a mistrial on the 10 unresolved counts but is accepting the jury's verdict on the remaining eight counts. Ellis decided there was "manifest necessity" to proceed. When the verdict was read, Manafort stood before the judge without flinching, his hands folded beneath his waist. He appears to have lost weight in recent weeks. After the trial, Manafort's attorney, Kevin Downing, told reporters that Manafort was disappointed he was not acquitted on all counts, but he thanked Ellis for a fair trial and the jury for its long deliberation. Downing also said that Manafort is evaluating his options. Manafort faced 18 counts — five counts related to false income tax returns, four counts of failing to file foreign bank account reports, four counts of bank fraud and five counts of bank fraud conspiracy. The government alleges Manafort hid tens of millions of dollars in income and falsified records to enrich himself and live a life of luxury. What does Manafort's verdict mean for the special counsel investigation? The jury — composed of six men and six women — began deliberations Thursday morning, after a little more than two weeks at trial. The government had recommended between eight and 10 years in prison if he's found guilty of the charges against him. The Manafort trial is the first to stem from special counsel Robert Mueller's investigation into Russian election meddling and any ties to Trump associates, although the trial did not involve charges related to work on the campaign — something President Trump and his allies have been careful to note. The government has made the case that Manafort was a liar who worked in deception, summarizing the case as such in its closing arguments. "When you follow the trail of Mr. Manafort's money, it is littered with lies," prosecutor Greg Andres told the jury. The defense, which rested its case without calling any of its own witnesses, largely focused on the character of former Trump campaign aide Rick Gates, who claimed he committed crimes with Manafort. Gates admitted to having an affair a decade ago, and he admitted he also embezzled several hundred thousand dollars from Manafort. The defense seized upon these admissions to question his reliability and ethical standards. Gates secured a plea deal. 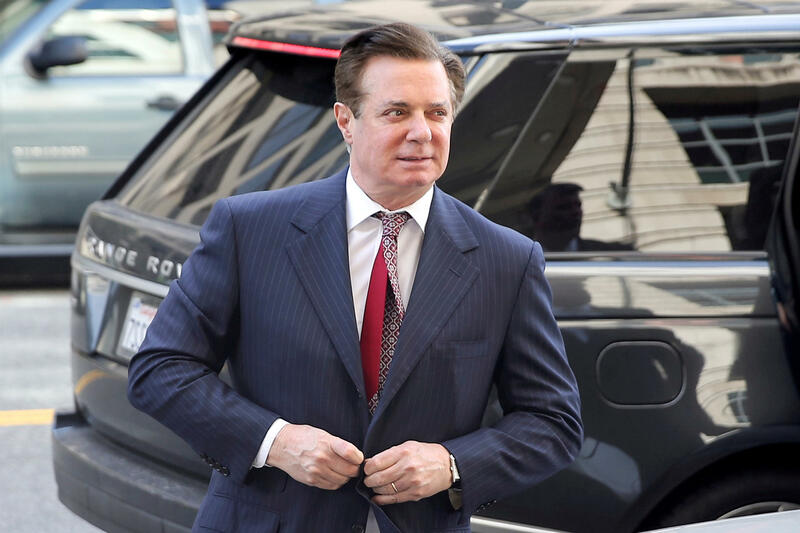 Earlier this year, CBS News' Paula Reid reported — based on sources familiar with Manafort's legal strategy — that he was banking on a presidential pardon. The president has distanced himself from Manafort, claiming he "came into the campaign very late and was with us for a short period of time," but hasn't criticized the former Trump campaign manager publicly and has suggested the situation is unfair. "Looking back on history, who was treated worse, Alfonse Capone, legendary mob boss, killer and 'Public Enemy Number One,' or Paul Manafort, political operative & Reagan/Dole darling, now serving solitary confinement — although convicted of nothing? Where is the Russian Collusion?" the president tweeted earlier this month.